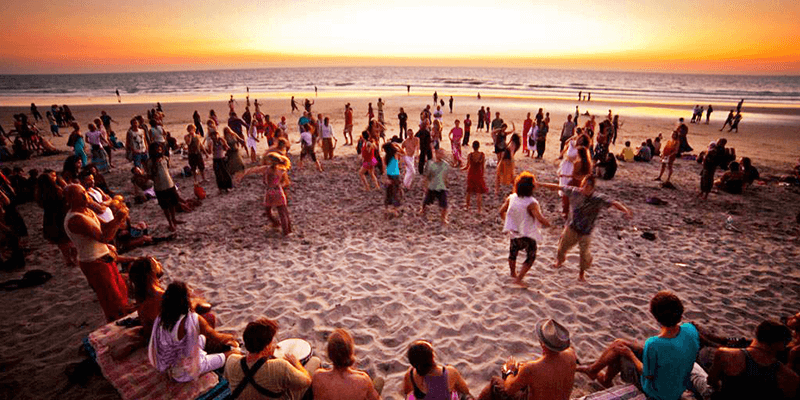 Goa is all about beaches; and of course a lot of fun on the sand! 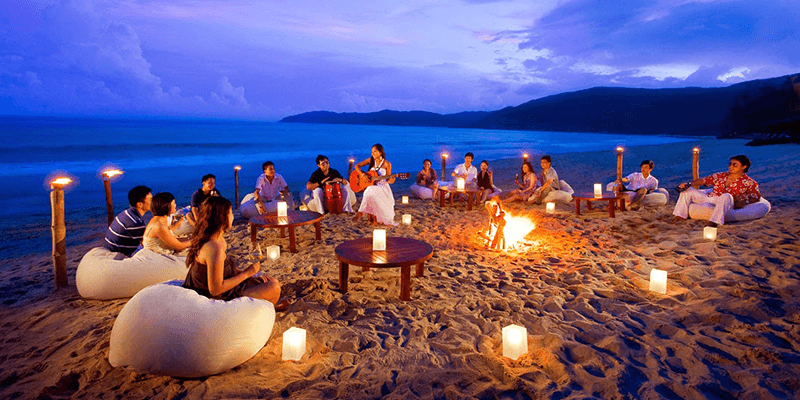 So, whether you are looking forward to enjoying a musical night or an adventure activity – Goa will not disappoint you! With a coastline spanning over 100 KM, you are sure to find an exciting Goa beach no matter where you are putting up, withn the state. So, on your next trip to Goa, no matter what you have on the agenda, keep enough time aside for the below mentioned these beach activities. Calangute Beach is a beach that is ever thronged by the crowds. You will be welcomed by loud music much before you even reach the beachside! If you are in mood for a loud evening, Calangute Beach is your best bet. The waves here are big and loud; and if you want to dance it out, the options are plenty. On a sunny afternoon, you will also find locals and tourists enjoying a game of beach volleyball. Whatever it may be, the energy here is contagious. A visit to Goa is incomplete without some shopping. 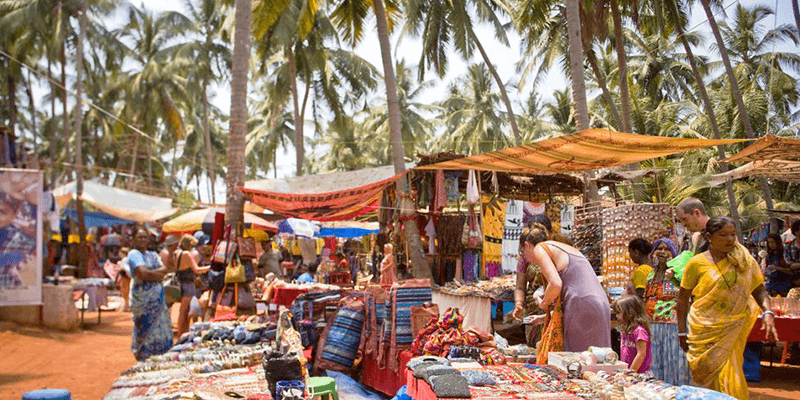 Be it junk jewellery, flowy dresses or bright and vibrant sarongs to make you feel Goan, the flea market at Anjuna Beach in Goa, is a must visit. Don’t worry, the boys will find something of their choice too – colourful bermudas and Hawaiian shirts. The Wednesday flea market here is a complete not-to miss. Goa is all about fun and music – so even if you are a bathroom singer, Goa shacks welcome you with open arms. In the peak season (between October-March), Baga Beach in Goa is alive and kicking with ever crowded shacks. Many of these shacks have live music and karaoke nights. With a little bit of ethanol in your bloodstream, you are sure to feel like Justin Bieber and nobody would mind that too. So while being here, just enjoy your night to fame! What is life without a bit of adventure? Candolim Beach is where you should head if you want to try out some adventure sports. Parasailing is a good way to catch a bird’s eye view of Goa beaches and it will cost you something between INR 1000-1500 for a 20 minute session. Jetski, water scooter, banana boat and water skiing – the choices are plenty. So, pull yourself to get adventurous – because you are not going to regret it! 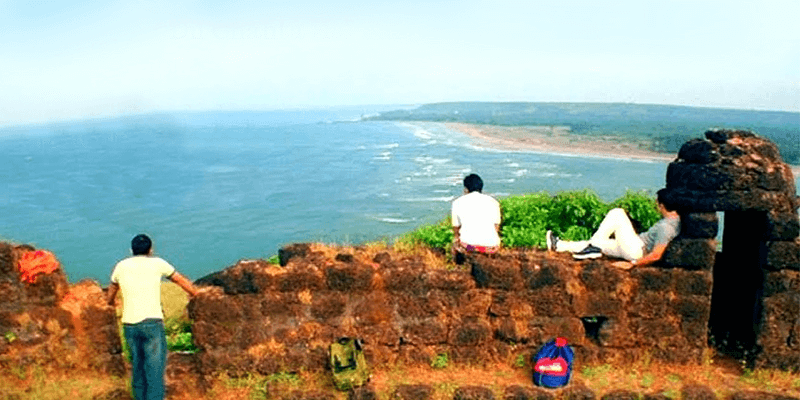 Fort Aguada in North Goa suddenly came into the limelight after featuring in the box office hit movie – Dil Chahta Hai. In the movie, the three lead characters were shown having a time of their life at this old Portuguse fort. In the days that followed, Fort Aguada saw a sudden spike in tourist visit. And the pristine beauty of Aguada Beach stole the hearts of tourists. Today, this North Goa beach is always filled with people enjoying its serenity. Goa is a highly recommended place for water sports. The experience is thrilling. Water sports sessions are conducted by well-trained trainers and guides. I could not understand your requirement. 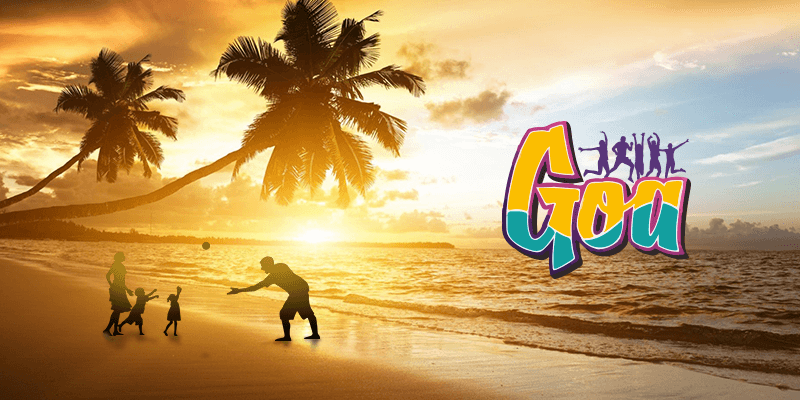 Do you want to visit Goa from Chennai? Nice work. Keep it up. This blog is very informative and tells about all activities in Goa. Goa is famous for water activities. 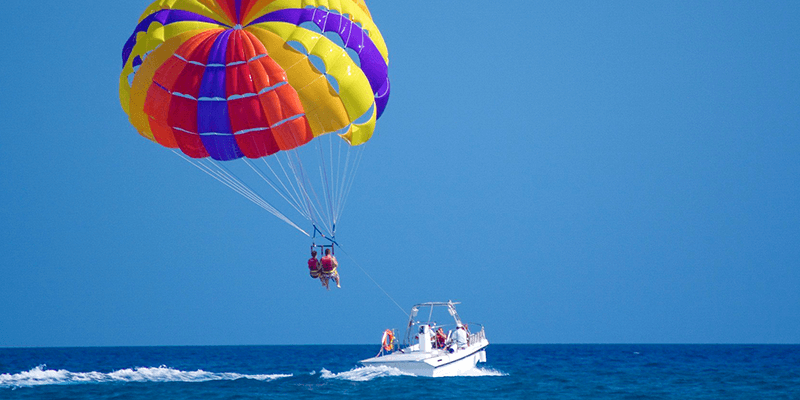 In this blog all the details about parasailing and other water activities have been perfectly explained.